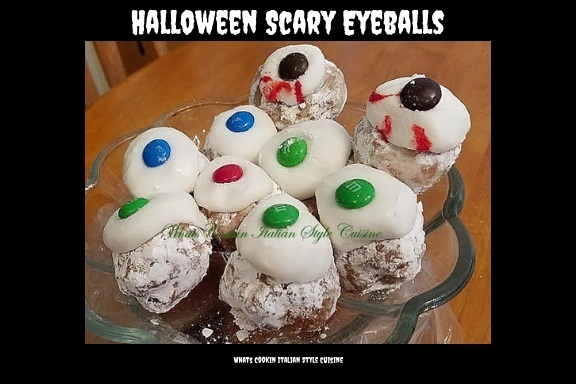 Here's some scary donut hole Halloween eyeballs! They're the spookiest treat for kids on Halloween! Perfect to serve with some hot apple cider on a cool bewitching evening. An easy fun food for the whole family to make. These are perfect for a non baker that is throwing a quick get together for Halloween. They make a scary treat and festive looking for the Halloween table of Tricks or Treats. 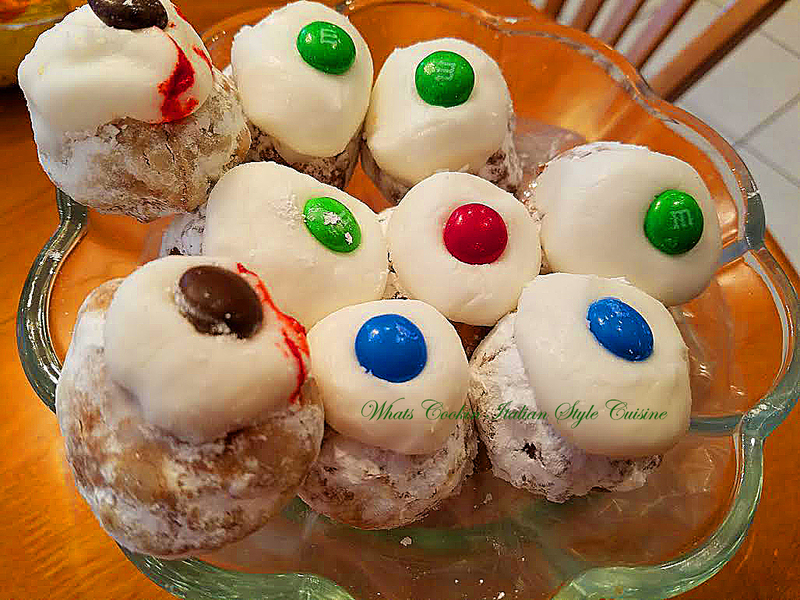 The eyeballs are so easy to make with store bought donuts, some favorite childhood candy and canned frosting. 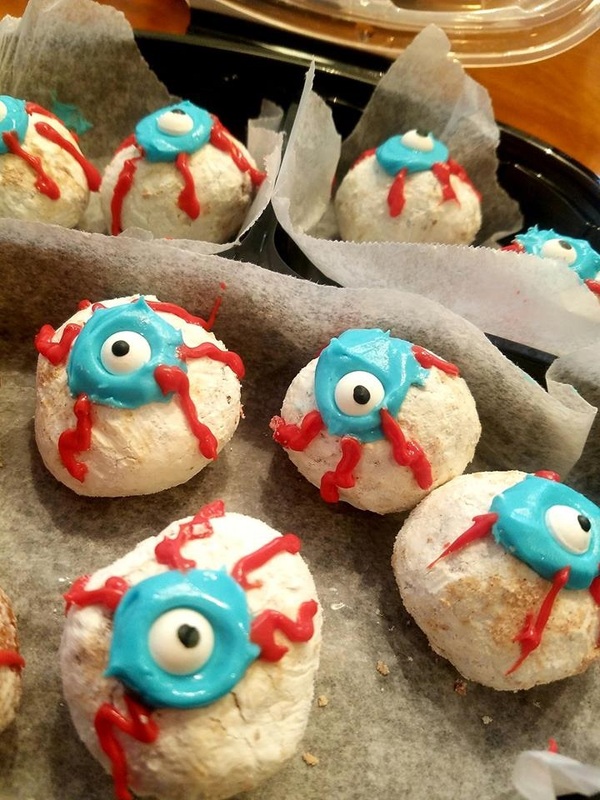 If you want to get even more creative, use some store bought frosting tinted red and make the squiggly lines under the eyes and buy some candy eyeballs for the center of the blue. The kids change the color of the background to brown, blue or green. The centers can be colored cut gumdrops, m and m's or all frosting if you can find the candy eyeballs. 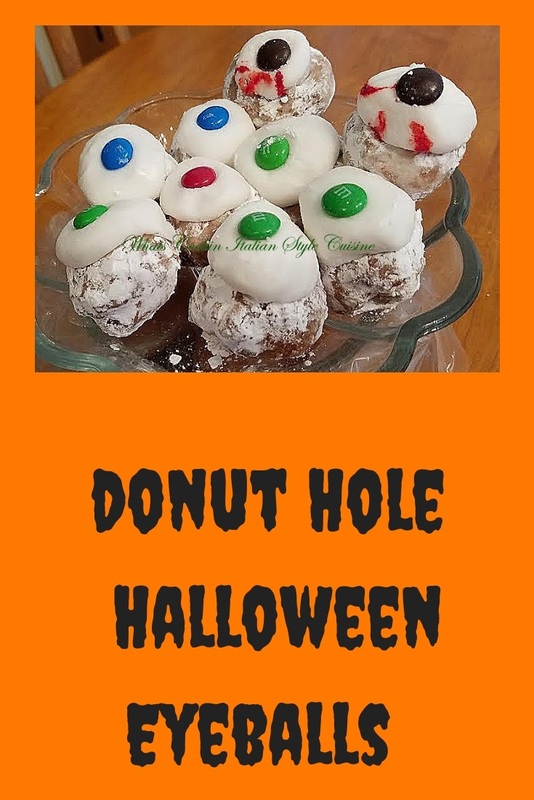 They are a festive way to kick off the Halloween festivities or party. These are fun easy treat he can help make with me. 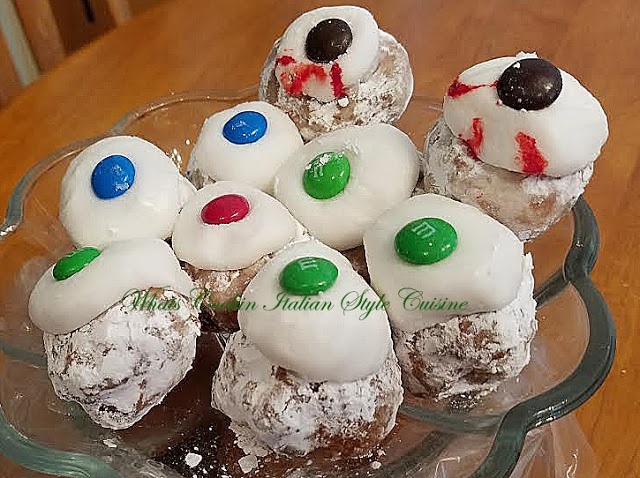 Antonio loves Halloween and these donut holes are quick, fun to make and pretty scary. Fun for your kids to make and fun to eat! Make sure the donut holes are heavily rolled in powdered sugar. Using a ziplock bag, pour the white frosting in it. Cut on the diagonal a small hole to squeeze the frosting out of to make the protruding eye. Place the candy in the middle let the dry around 1 hour on wax paper. These donut bites are festive and delicious!